New Red Lobster Dinner and Lunch Deal. 1 New Red Lobster Dinner and Lunch Deal. 2 Red Lobster Rewards Deals. Red Lobster, America’s favourite family seafood restaurant, currently is running a promotion for up to $4 off dinner or $3 off lunch. They are also giving you a neat $2 off all fish items during lunch hours. The deal is valid from today and until Sunday, September 4, 2016. Visit Red Lobster’s coupon page and print out the coupon. You can then show it to your waiter at your local restaurant. The deal is available at participating locations only. The coupon cannot be exchanged for cash and cannot be used with any other coupon or special offer. Not valid for kids menu items. One coupon per table. A Red Lobster Lunch coupon may not be reproduced, re-posted, sold, transferred or traded. You must must present the coupon to your server. Red Lobster may refuse to honor accept any coupon it believes to be in violation of these terms and conditions. Valid at any Red Lobster location in the U.S. and Canada (excl. PR). Offer valid 8/22/2016 – 9/4/2016. Use the coupon code: 33 , if you are ordering online. The coupon cannot be exchanged for cash and cannot be used with any other coupon or special offer. Not valid for kids menu items. One coupon per table. 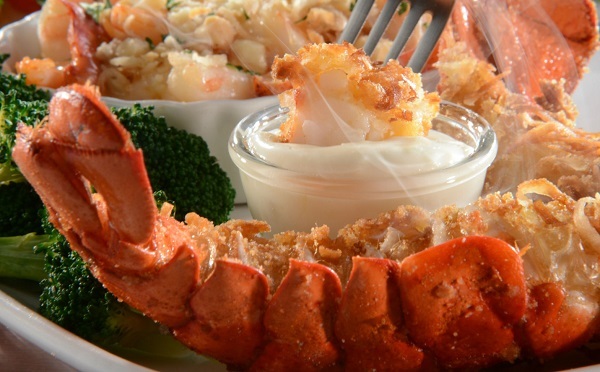 A Red Lobster Dinner coupon may not be reproduced, re-posted, sold, transferred or traded. You must must present the coupon to your server. Red Lobster may refuse to honor accept any coupon it believes to be in violation of these terms and conditions. Valid at any Red Lobster location in the U.S. and Canada (excl. PR). Offer valid 8/22/2016 – 9/4/2016. Use the coupon code: 35 , if you are ordering online. Red Lobster Fresh Fish Deal. You will actually get $2 off fish entrees, from 11 am to 3 pm every day (lunch hours) for a limited time only. 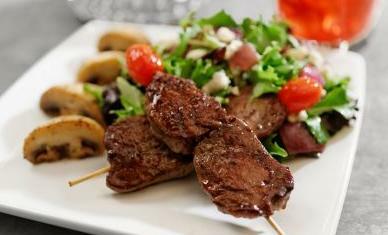 The Fresh Fish Deal special is valid for all fresh fish entrees, including Salmon, Swordfish and Tilapia. Did you know, that if you sign up for the Red Lobster Fresh Catch Club , you will receive a coupon for a free appetizer or dessert when you nuy of two adult entrees. You will also get a birthday coupon sent to your email address, during the week of your birthday, so why not sign up. We have added the complete Red Lobster Menu with prices here. Red Lobster is also has a great $7.99 lunch deal. Choose From Sandwiches, Salads, & More, for juslunch items are $7.99. All Served With Cheddar Bay Biscuits.The Lunch Deals are available Monday – Friday From 11am-3pm. No coupon is required for the $7.99 lunch deal.